The books are coming! The books are coming! 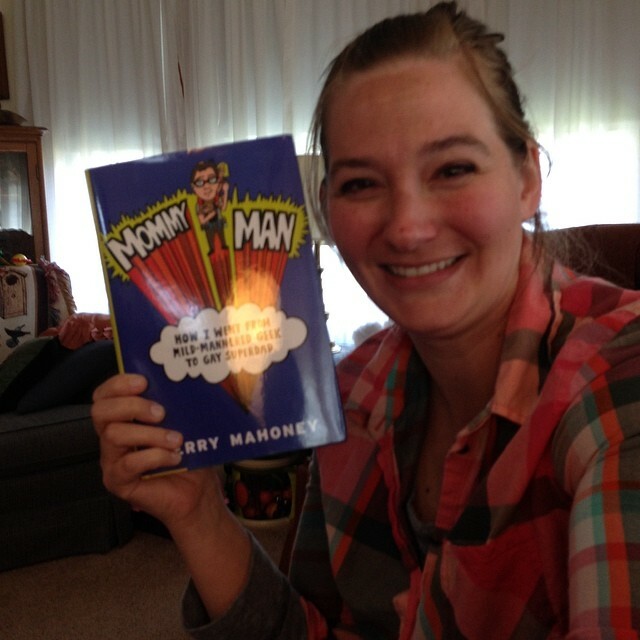 People who preordered from Amazon started getting their books yesterday, and they proved it by sending me selfies. 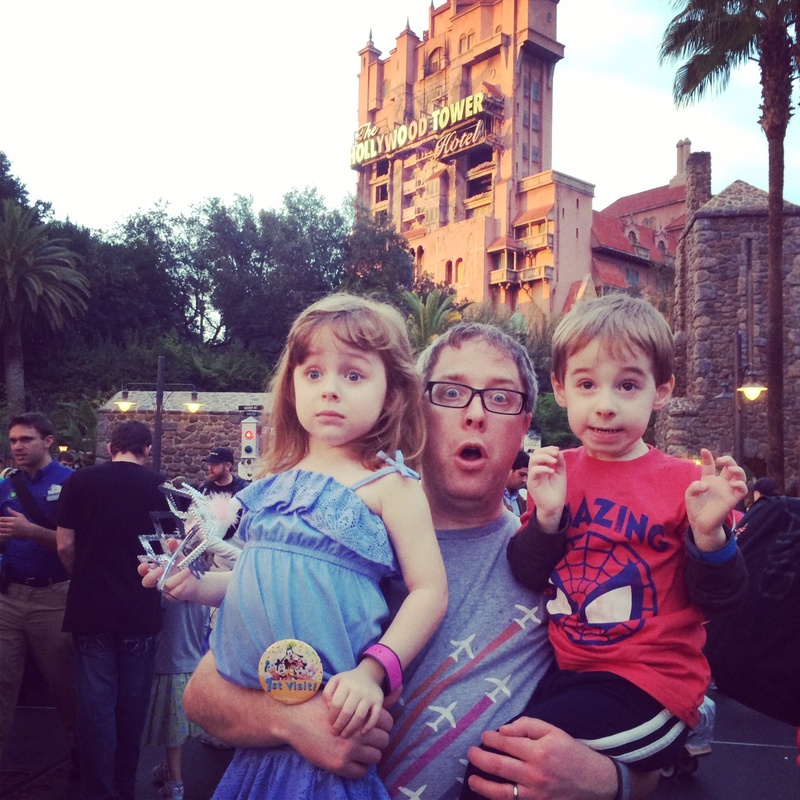 Meet Matt Tappon and his daughter Lilian! Want to know more about them? You can read their amazing story in my epilogue. Let’s just say you find out who they are towards the end of the book. I’ll post some more pics of people from the book as I get them, so you can see what the main players look like. But I’d love to see your selfie, too! 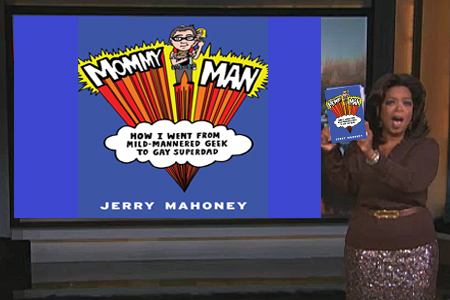 Did you get your copy Mommy Man? 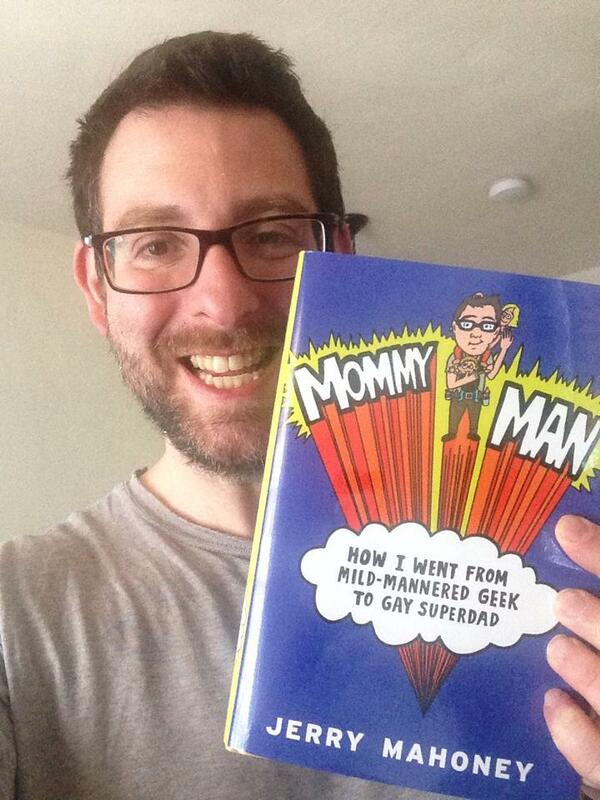 Head over to Facebook and upload your Mommy Man selfie directly to my page. 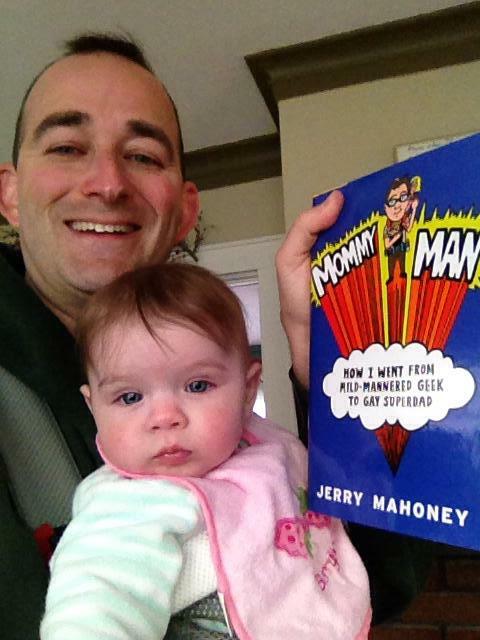 Or tweet it @WhyJerryWhy with the hashtag #MommyManSelfie, and I’ll give you a retweet. I’ll pick my favorite one on, oh let’s say May 31st, and send the best selfie-er an autographed copy of the book. I know, you’ll already have a copy of the book, but I’ll have my kids write something cute this one to make it extra-special. Want to get in on the selfie action, not to mention the chance to read a book that Publishers Weekly calls “uproarious” and “touching”? Better hurry! Amazon’s already sold out of theirs! They’ll have more in stock soon, and you can find a bunch of other buying options here. Coming May 8 to bookstores everywhere! In a lapse of parenting judgment, I ended up promising her a toy if she could chill out. On the plus side, she chilled out. Mostly. Eh, I’ll buy her a crappy toy. I didn’t promise anything nice. I’ve been saying for a while now that potty training is the hardest thing I’ve had to do as a parent. Well, after yesterday, I’m going to give the #2 slot to watching my little boy get knocked out by gas in an operating room, assuring him that everything would be fine and that Other Daddy and I would both be there when he woke up. He handled it like a champ, drifting off to sleep calmly as he stared trustingly into our eyes, with very little idea of what was actually about to happen. It’s always the really hard moments as a parent that also remind me why I love having kids so much. Bennett couldn’t quite understand what was happening, but because his dads were with him, he felt safe. The surgery went great. He was up and wolfing down ice pops in no time, and by the end of the day, we were out of the hospital, celebrating at McDonald’s, where Bennett ate more food than I’ve ever seen him eat in one sitting in his life. When we got home, there were balloons and flowers at the door, and a giant cardboard box. A box full of books. “Do you guys know what this is?” I asked the kids. “It’s your book!” Bennett cheered. It was, in fact, a lot of my books. It was just like you always dream it will be as a writer. You cut open a box and all you see are copies of your own book staring back at you. I’m not sure exactly how many copies were in there. However many I was contractually obligated to receive, I guess, but I haven’t counted. It feels like a million. Like a bottomless box of books. And all I can think is, “What am I going to do with all these books?” Am I supposed to read them all? Pass them out to strangers? Are they just going to sit in my basement like this, a big box of books, always kept in pristine condition, their bindings never cracked? Then, I had another thought: I should order more. At the same time, I started getting emails from friends. Amazon had notified people who preordered that the books arrived early and would be shipped out in the next few days. Soon, lots of people will have my book. The timing couldn’t have been better. After a long, draining day, we had something else to celebrate. And of course, as the spotlight shifted to me, Sutton was ridiculously jealous once again. Yes! Books are coming soon! Don’t forget to order yours! Or better yet, join in my Amazing Chart Twerk 2, which is still set for the official release day of May 8. Mommy Man Early Review Roundup! I’ve never understood writers who say they don’t read their reviews. You mean there are people out there talking about you and you don’t want to know what they’re saying? What if it’s really glowing? What if it’s insightful and constructive? What if it’s about your mama? I’m sure I will change my mind the second someone calls my book unfunny or boring or some word I have to look up. For now, though, we’re still a couple of weeks before the release date, and everything I’ve read so far has been the kind of stuff I’d be perfectly happy posting here on my website. There’s a bit of synopsis in between those two sentences, but I didn’t yadda yadda anything negative. Reading that review was a huge relief. Uproarious and touching? That’s totally what I was going for! Publisher’s Weekly, you get me! I also managed to get dust jacket blurbs from some incredible writers. These were all people I’ve been a huge fan of, who I approached in the hopes that they might vouch for my book to people who trust their opinion. They didn’t get paid for this, unless you consider an email from me saying, “I love you, you’re awesome” payment. Who are these wonderful people? You can read all the nice things they said on my book page or on the dust jacket itself once the book comes out. “It is a charming, sweet, and funny story of two dads and their quest to have a family via a surrogate. Mahoney is a great writer, and he manages to find the humor in even the most difficult and dark times of this complicated journey to parenthood. Wow, do I sound like a egotistic jerk by putting all these reviews on my blog? Well, I’m only doing it so I can relish the moment when all the reviews are still good. That, and to convince you to join My Amazing Chart Twerk 2, of course. 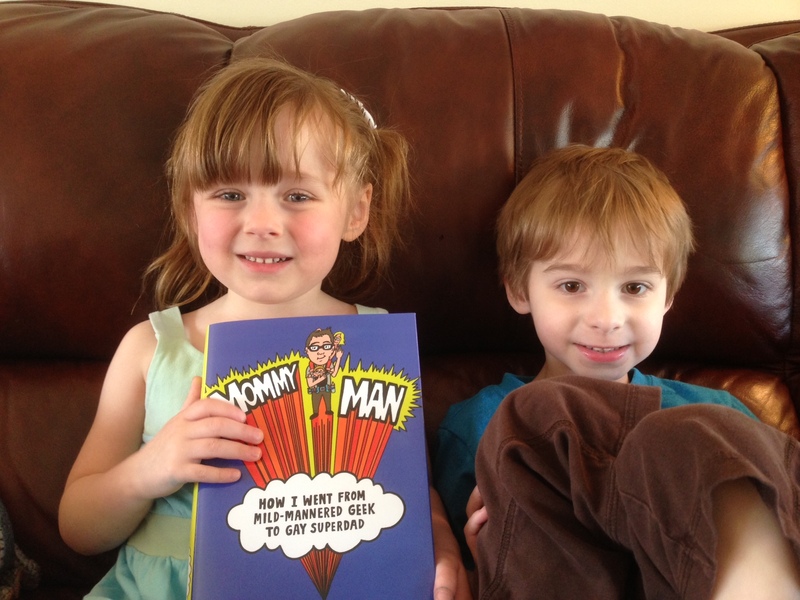 “Mommy Man” the book will be available on May 8, online or at your favorite bookstore. (The e-book will follow shortly after that date.) I’m encouraging everyone who reads this blog to buy the book on release day in hopes of making the maximum impact. Mark your calendar now, then on May 8, buy buy buy! … and then write a review! I love reviews! I’m going to read them all! You know, at least until the first bad one comes in. I’m on Twitter! I’m on Facebook! Like me, like me! Announcing… My Amazing Chart Twerk 2! Have you preordered my book yet? You know, the one that comes out in about three (gulp!) weeks? If so, then you’re awesome, I love you and there’s no need to keep reading this post. Go watch that video of the cute old ladies riding on an airplane for the first time instead. You’ve earned it. Yes, I’m a crazy lunatic whose first ever book, which he’s so excited about and so proud of, is coming out in three weeks, who’s asking his blog readers NOT to buy it. Why? Because it’s time for my Amazing Chart Twerk 2! If you’ve been reading this blog a while, you may remember my first Chart Twerk, where I asked everyone who was planning to preorder my book to do so at roughly the same time in order to make a big splash in the Amazon rankings. At the risk of sounding like a Trump-ish self-promoter, it was a huge success. The book got to #1 in its category, #260 overall and it briefly outranked “Eat Pray Love,” though I’ve still yet to interest Julia Roberts in the film rights. The most amazing part of it all was that this was seven months before the book even came out. Imagine the potential impact when the book is actually available. 1. Mark your calendar to buy my book on its official release day, Thursday, May 8, 2014. 2. Live a happy, fulfilling life for the next three weeks. 3. On Thursday, May 8, 2014, BUY MY BOOK! It’s that simple! Buy the book as close to 12PM EST as you can so we can make the maximum impact. If you have any plans at all to buy my book, I really hope you’ll take part in this. Don’t just plan to pick up a copy whenever you get around to it or once everyone else has already read it. Help me make a big splash. You may remember that last time, I asked you to preorder the book on Amazon. That’s because back then, Amazon was the only place that had it available for preorder. On May 8, my book will be available EVERYWHERE, so I’m asking you to buy it wherever you prefer to buy books. But it on Amazon, Barnes & Noble, Book Soup, IndieBound, Powell’s, Books-A-Million, The Book Depository, that Belgian site a reader tipped me off to or your favorite local brick and mortar store. Buy 1 copy at each of those places if you want to. I don’t mind! Want the direct sales links? Click on this page and check out some of your options. When the big day arrives, I’ll keep an eye on the major sites to see where the book ranks, and if you notice anything cool yourself, please let me know! 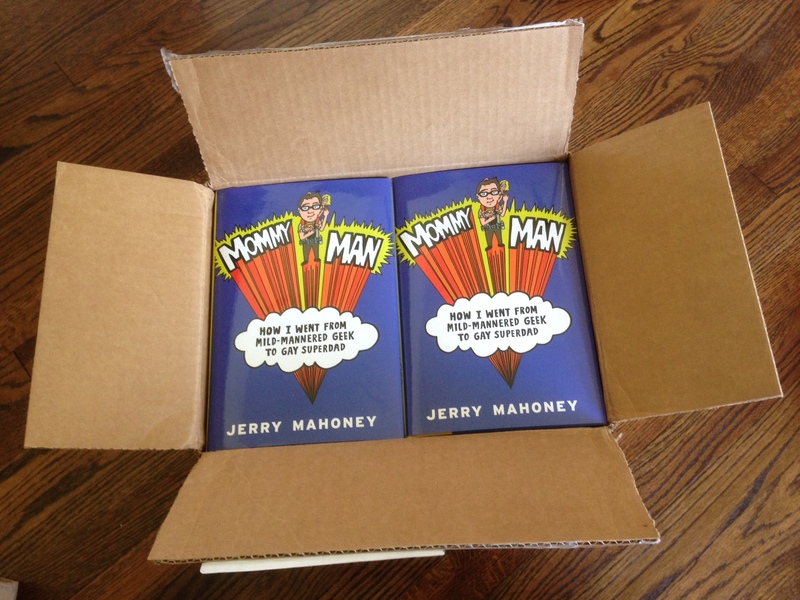 If you happen to spot a copy of Mommy Man on the Best Seller table at you local bookstore, tweet me! If your Barnes & Noble hangs up a sign that reads, “Sorry! 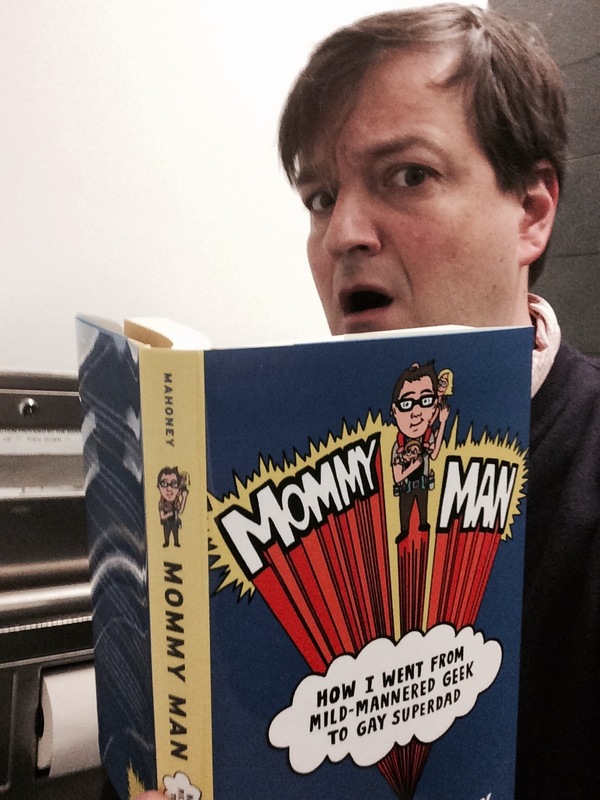 Sold out of ‘Mommy Man’! Please stop asking!”, Facebook it! I have some personal appearances coming up over the next couple of months (details here), and those are also great places to buy my book. If you’re in New York, LA, DC or Rochester and you want to buy a copy in person, then feel free not to twerk, but instead mark your calendar for the appearance you can attend. I’d love to see you there! The rest of you, get ready. It’s almost twerk time! Win a Free Copy of My Book! No Fooling! I guess it’s fitting that I played an April Fool’s joke about my book, since there’s a chapter in the book dealing with a very notorious (among my friends and family, at least) April Fool’s prank I pulled back in 2004. To anyone who fell for the Oprah thing I posted yesterday, I’m incredibly flattered that you think the most powerful woman in publishing would have my little old book anywhere on her radar, let alone in her very enthusiastic hands. I sincerely thought the idea (along with the shoddy photoshopping) was too preposterous to reel anyone in. I stand corrected. 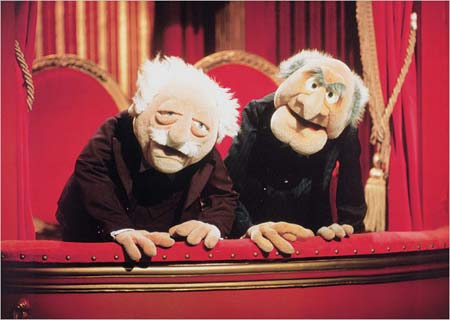 Furthermore… gotcha! Of course, if Oprah were involved, I could just sit back and let the royalties wash over me in giant tsunamis of bling. Instead, I’ll be treading the more typical publicity routes… appearances and giveaways! I’ve already set up appearances in Manhattan, LA and Rochester, with more to be announced soon. Check out my new appearances page for details. If you’ve been reading the blog and you live in one of these areas, I really hope you’ll show up. It’s a great opportunity to buy a copy or ten of my book — or, for those of you on the fence about shelling out the cash, you can listen to me read, be won over and then buy it. It’s win-win! 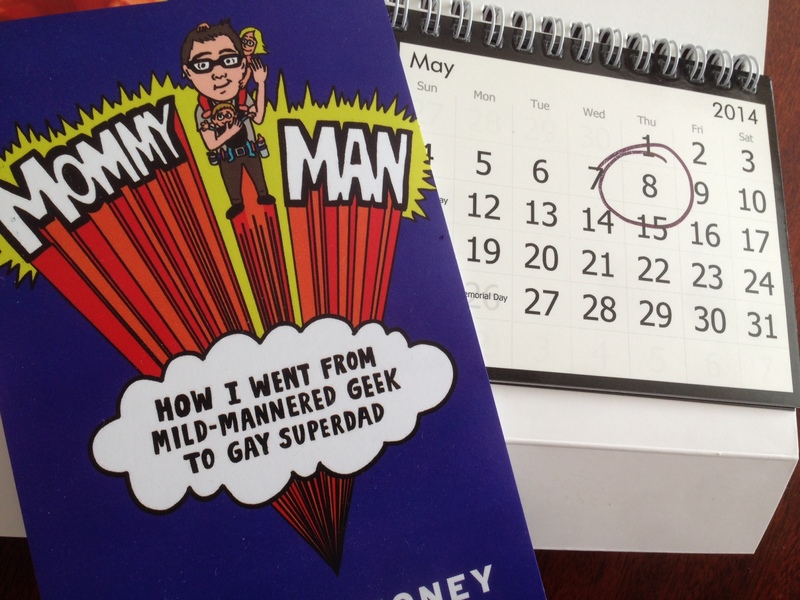 Now, for the free part… Goodreads is giving away 15 copies of Mommy Man: How I Went From Mild-Mannered Geek to Gay Superdad to nice readers like you. If you’re not on Goodreads, this is a great reason to join, along with the fact that Goodreads is just plain awesome (and yes, FREE!). It’s like Facebook for readers. You can even sign up through your Facebook account rather than fill out a bunch of new forms. Feel free to friend me and/or mark my book “to read” while you’re there. Once you’re a member, go to this page to sign up for the giveaway. 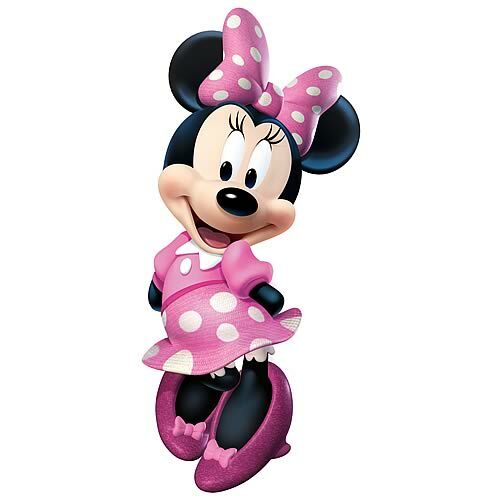 The contest runs through April 21, 2014. * I’d love it if you’d preorder, but you might want to check your calendar first. ** PLEASE NOTE THIS WAS PUBLISHED ON APRIL FOOL’S DAY. IF YOU’RE READING THIS ON ANY OTHER DAY, FEEL FREE TO CONSIDER IT A POORLY PHOTOSHOPPED LIE.